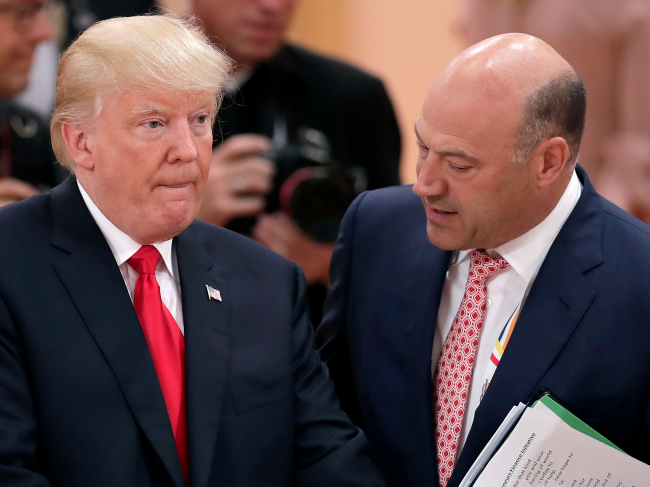 Trump Says If Cohn Stole Papers Off His Desk He Would "Never Speak To Him Again"
President Trump said on Friday that he would never speak to his former adviser Gary Cohn again if he stole paperwork from his desk, reports Bloomberg. “If he did that, I would never speak to him again, I would never speak to him again,” Trump told reporters aboard Air Force One, adding that he thinks the account is a "phony story." 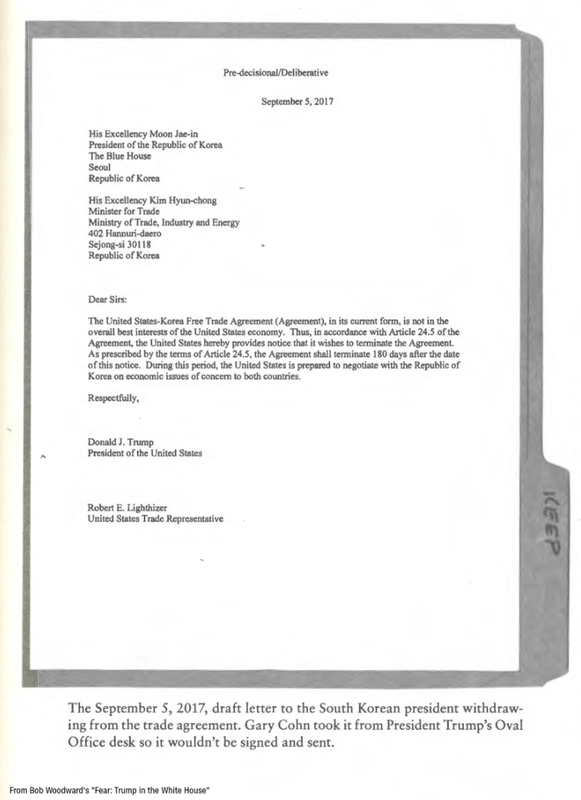 According to Bob Woodward's newest book, Cohn removed a September 5, 2017 letter which would have ended the United States-Korea Free Trade agreement, stating that the pact "is not in the overall best interest of the United States economy," and states that the agreement would be terminated 180 days after the date of the notice. Cohn resigned as the head of Trump's National Economic Council earlier this year, departing on April 2, after failing to stop Trump from levying new tariffs on steel and aluminum. According to Woodward, however, Cohn secretly saved the South Korea-US trade agreement, known as Korus, when he removed the letter - allegedly telling a colleague that he stole the letter to protect national security. President Trump has called the Woodward book a "scam," Tweeting on Friday " I don’t talk the way I am quoted. If I did I would not have been elected President. These quotes were made up. The author uses every trick in the book to demean and belittle. I wish the people could see the real facts..."